Ideally located near Versailles, this beautiful 4-star hotel on a historic and prestigious site offers a unique service for your travels. The Pullman Château de Versailles hotel provides a myriad of services: terrace restaurant, bar lounge, fitness room & sauna, spacious meeting rooms. Free WIFI. 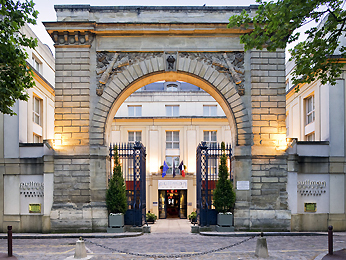 The Pullman hotel is merely minutes from the Versailles-Château-Rive-Gauche train station. Take a train for 20 min to visit the Eiffel Tower and Champs Elysées in downtown Paris.